“In 1897, eight-year-old Virginia O’Hanlon wrote the New York Sun to ask a simple question: Is there a Santa Claus? The editor’s response was a stirring defense of hope, generosity, and the spirit of childhood. His essay has been reprinted countless times since, and the phrase ‘Yes, Virginia, there is a Santa Claus’ has become part of American Christmas lore. Based on these actual events, Yes, Virginia is the story of a little girl who taught a city to believe” (Amazon). 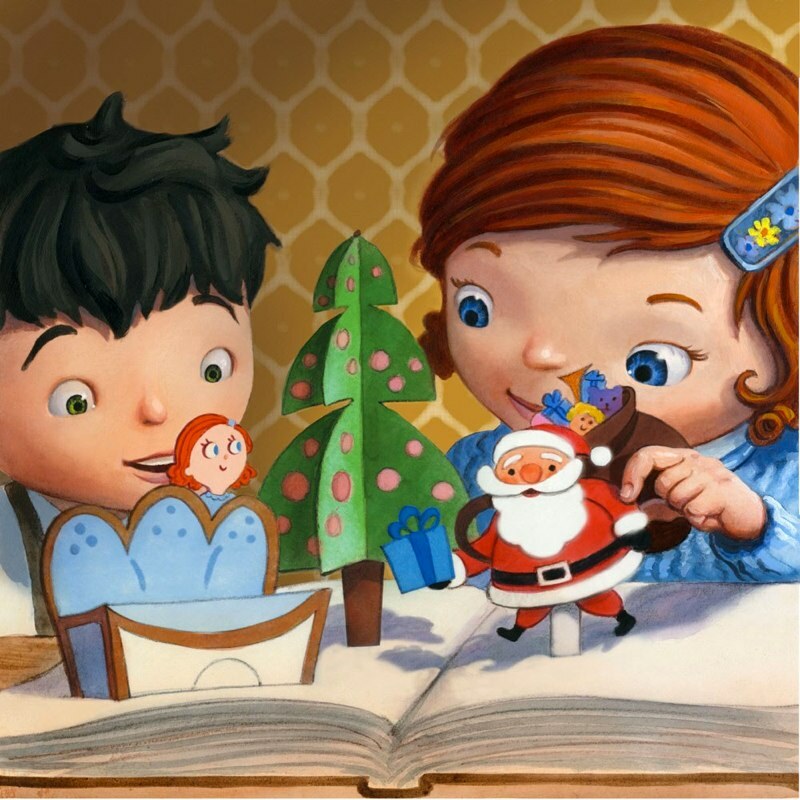 The picture book actually followed a 2009 made-for-television Christmas tale by the same name, with voice-over work by Neil Patrick Harris, Jennifer Love Hewitt, Alfred Molina, Michael Buscemi and Beatrice Miller. While I am not an advocate of television for young children, this is one of the few Christmas shows I have allowed my children to watch this time of year. Both children are captivated by the animation and the charming characters. 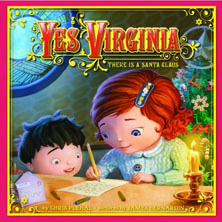 Unfortunately, like so many characters that grace children’s literature, those from Yes, Virginia have been hijacked by the great forces of consumer America. 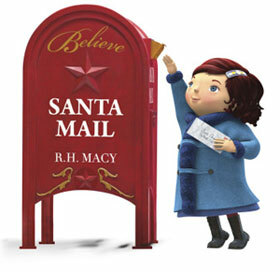 In this instance, however, Macy’s employs Virginia for good via its Believe Campaign for the Make-A-Wish Foundation, and thus, I’ll cease my grumbling (or at the very least, save it for another post). If you have been following my picture book posts this month, the name James Bernardin may ring a bell. In addition to many a Christmas-themed book, he illustrated my favorite Thanksgiving classic, An Old-Fashioned Thanksgiving by Louisa May Alcott (and for those of you who sought a copy to purchase earlier this month, it is now available new on Amazon). His illustrations in Yes, Virginia, while wholly different than those in An Old-Fashioned Thanksgiving, are equally dazzling. I’ll see you back here tomorrow for my final Picture Book Month recommendation. If you’ve read Yes, Virginia or have seen the show, please do share your thoughts.